1. Bring a big container. With just three of us, including two a decade younger than the legal driving age, we still put down a lot of granola in a week. So when you find a granola flavor you like, bring a bowl big enough to get you through your desired length of sedentariness. 2. Pay attention to price. 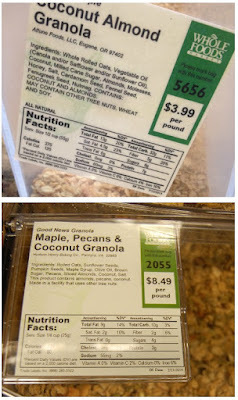 Bulk granola can be affordable. Or...it can be acai berry juice expensive. 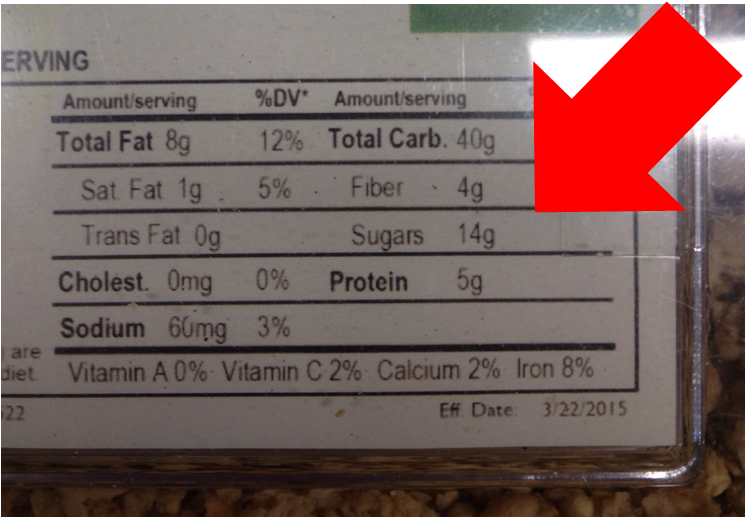 The more fancy stuff in your granola, like cashews or cranberries, the more it'll cost you a pound. 3. Pay attention to sales. A nice thing about bulk granola is you can shop around the sales. 4. Pay attention to freshness. I would SAMPLE your granola before buying out the last eight pounds. Especially granola that's on sale. There's a chance it's been there for months and the bulk gal/guy just wants to move it. 5. 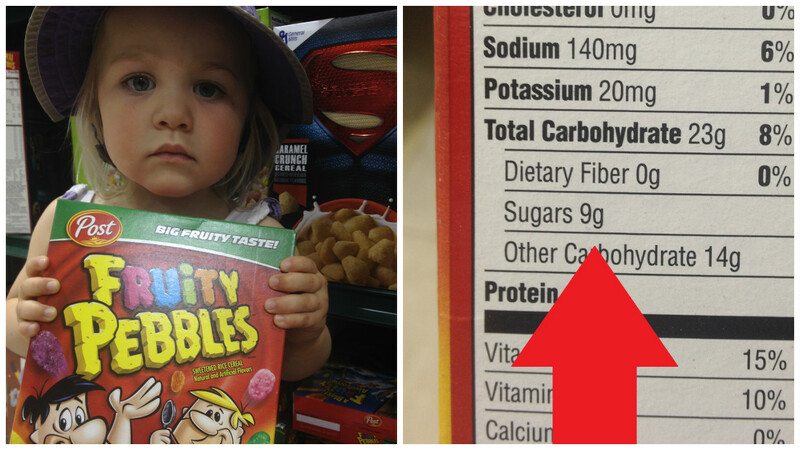 Pay attention to sugar content. 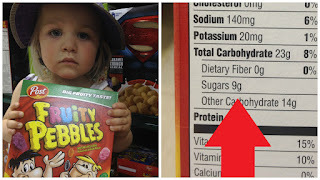 Be choosy if you don't like sugary cereals. 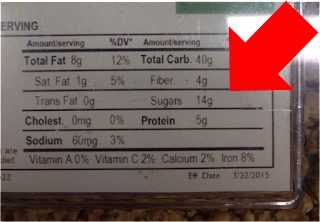 Some of this bulk granola has more sugar per serving size that Fruity Pebbles. With a cup of coffee and handful of chocolate chips, of course. Have you ever tried making your own? I was always running into the sugar problem when buying in bulk; the content was just too high for my liking - I just wanted something simple! 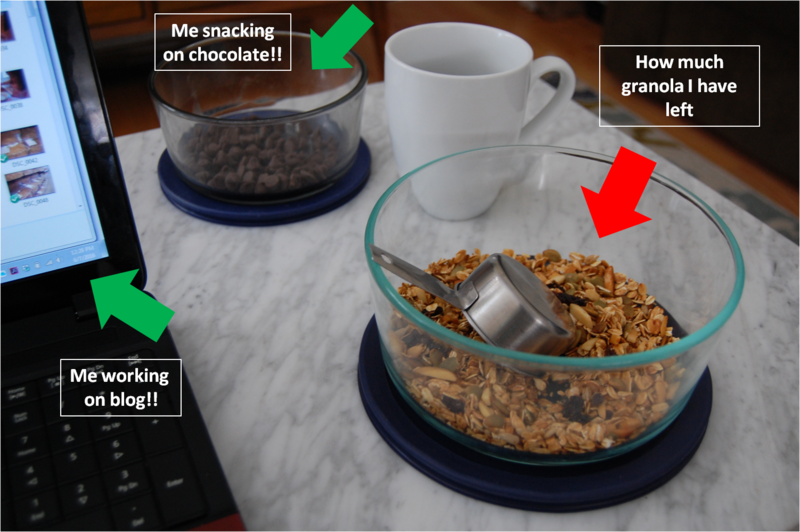 Most of the ingredients you can get in bulk for granola prep anyway, and you can get your own kind of creative: https://www.buzzfeed.com/rachelysanders/how-to-make-the-best-granola-ever?sub=1954153_794268&utm_term=.lo4KgXZend#.arj4wmVKRW (I read this specifically and tried my own - don't bake it for so long; mine was on the brink of tasting a little burnt).